18" Premium Traditional Profile Barrel. 4140 Fully Machined & Heat Treated Cast Steel Type 1 or Type 2 Receiver - Carry Handle or Non Carry Handle Cut. Light Weight Alloy Lower Trigger Frame. 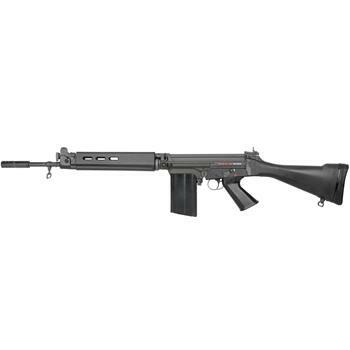 DSA FAL SA58 Extended Length Rubber Buttstock Pad - 1"